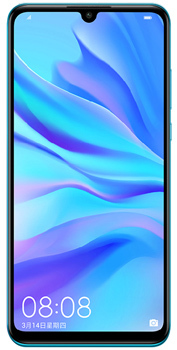 A modern and fashionable Calme handset, the Spark S22 Smartphone comes with a 4.5 inch IPS FWVGA touchscreen with OGS (one glass solution) technology. Calme Spark S22 features a 3-megapixel rear-facing camera with video option, a 1.3-megapixel front-facing camera, WiFi, 3G and GPS connectivity options. Calme Spark S2 is specially designed to appeal to the professional market featuring a 3D Cambered surface design and a super speedy Dual-Core 1.2 GHz processor. Calme Spark S22’s smartphone has an Android v4.2.2 Jelly Bean operating system, 512MB RAM, and 4GB internal storage on Calme’s Spark S22 that you can expand with a microSD card up to a massive 64GB. Equipped with numerous applications including Facebook, Twitter, Gmail, YouTube, Google Maps and Skype, the Calme S22 Mobile Phone is perfect for busy professionals who need to access their emails and contacts on the go, and as this Calme Spark features a powerful battery, it provides more than enough talk time and standby time to last throughout the day. Spark’s S22 Smartphone supports Video Talk so you can partake in conference calls when out of office, and as Callme Spark S22 has a dual SIM card function, you can add both your personal and professionally sparked SIM cards into one pocket-sized mobile device. Keep yourself cool and calmed to all the latest upcoming handsets. Call me Spark S22 phone is available in Black & White or Red. Disclaimer. Calme Spark S22 price in Pakistan is updated daily from the price list provided by local shops and dealers but we can not guarantee that the information / price / Calme Spark S22 Prices on this page is 100% correct (Human error is possible), always visit your local shop for exact cell phone cost & rate. Calme Spark S22 price Pakistan. The latest price of Calme Spark S22 in Pakistan was updated from the list provided by Samsung's official dealers and warranty providers. The best price of Calme Spark S22 is Rs. 7,500 in Pakistan in official warranty ( without discount ), while the without warranty Grey market cost of Calme Spark S22 is N/A. The price stated above is valid all over Pakistan including Karachi, Lahore, Islamabad, Peshawar, Quetta and Muzaffarabad. Slight deviations are expected, always visit your local shop to verify Calme Spark S22 specs and for exact local prices.